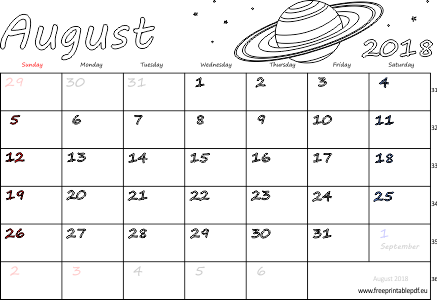 Calendar for the month of August 2018 for kids and adults to print and coloring. Three variants in the pdf version: blank, American and British. The theme of the August 2018 calendar - planet Saturn and stars. The calendar can be used as monthly planner.